Check-in is 2pm. In the cases of earlier arrival, we try our best to accommodate our guests where possible. Please note that a charge may apply. For further details or to book early check-in, please contact reservations on +353 (0)61 436 100 or [email protected]. Check-out is 12 noon. In the cases of late departure, we try our best to accommodate our guests where possible. Please note that a charge may apply. For further details or to book late check-out, please contact reservations on +353 (0)61 436 100 or [email protected]. What are the food serving times? Breakfast is served in Stir Restaurant Monday to Friday from 7am to 10am and Saturday, Sunday & Bank Holidays from 8am to 11am. Grain & Grill serves coffees and pastries from 10am daily. Carvery from 12.30pm to 2.30pm and there is a full bar food menu available until 9.30pm. It depends on what package you book with us. We offer both a room only and a bed & breakfast rate on our hotel website. If you book a room only rate you can always add on breakfast on your arrival. Yes, Maldron Hotel Limerick has 12 dedicated meeting rooms catering from 2-50 people. All meeting rooms are fully equipped with AV, natural daylight, still and sparkling water on the tables and an on-hand meeting specialist to make sure your meeting takes off without a hitch. Contact a member of our events team on +353 (0)61 436 100 to get more information or to book a meeting room. Yes, corporate rates are available. Should you wish to enquire about setting up a preferred agreement, feel free to contact a member of our sales team on +353 (0)61 436 100. Yes, Maldron Hotel Limerick is pleased to offer complimentary WiFi in all public areas and bedrooms. Does the hotel offer parking? Yes, Maldron Hotel Limerick has car parking facilities both outside of the Hotel and also secure underground car-parking – all free of charge. Club Vitae is the largest leisure centre group in Ireland. It focuses on fitness and wellbeing for each individual person and offers classes, personal training and a range of work out to suite an individual in a relaxed but energetic environment. What are the opening times of Club Vitae? Maldron Hotel Limerick offers free cancellation up to 2pm on the day of arrival for almost all reservations made on maldronhotels.com or maldronhotellimerick.com. Some special offers and key dates may specify a special cancellation policy, these will be clearly outlined in the terms & conditions. Reservations booked via on third party websites and online travel agents have their own cancellation policies. In this case, please refer to your confirmation email. Will my credit card be charged at time of booking? Bookings require a credit card for guarantee only unless otherwise stated. No cash payment is allowed for bookings, we only take payment via credit card with photographic ID. For some special offers and specific dates, full payment is required at time of booking but these terms will be outlined in the special offer terms & conditions. Please note that no rooms will be let unless payment is guaranteed. How can I travel to Limerick city centre from the Hotel? Maldron Hotel Limerick is located just outside of Limerick city centre. It takes approximately 20 minutes to get into the city centre. A taxi ride will approximately cost €8 one way. Please ask our reception staff who will be delighted to provide you with more information. What is there to do in Limerick? Sporting highlights such as European Cup matches, Guinness PRO14, the Great Limerick Run held during the May Bank Holiday Weekend. Limerick Greyhound Stadium, the Famous Pig ‘n’ Porter Tag Rugby Festival, Limerick Horse Racing and the University of Limerick Sports Arena, make Limerick a must city to visit for any sporting enthusiast. Maldron Hotel Limerick is ideally located to access all that the Shannon region has to offer. With direct access to all major road networks, the hotel puts all attractions at easy reach. Visit the Hunt Museum in the city centre, the People Park, King Johns Castle and an array of local bars, restaurants and clubs. Further afield, and within 20 minutes of the hotel lies Bunratty Castle, Folk Park and Castletroy. Foynes Flying Boat Museum and Adare Heritage Centre are other options to consider. 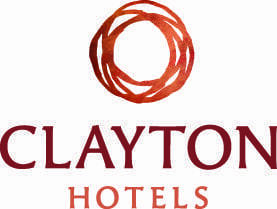 The hotel is also 20 minutes away from Shannon Airport. Is the Hotel located near any Shopping Centres? The hotel is a 7-minutes drive away from the Crescent Shopping Centre, one of the biggest and most successful shopping centres outside of Dublin. The centre offers 37,000m2 of retail space including clothing stores, restaurants, a cinema, a public library as well as offices of Limerick county council. Moreover, there are over 2000 free car parking spaces both around the centre and in underground car parks. Is the Hotel located near the University of Limerick? The hotel is near the University of Limerick and the University Concert Hall, located approximately a 10-minute drive away. How far is Thomond Park from the Hotel? Maldron Hotel Limerick is located approximately a 15-minute drive from Thomond Park, the home of Munster rugby. What is the Wild Atlantic Way? The Wild Atlantic Way is one of the worlds most breathtaking coastlines along the West of Ireland, stretching along the Atlantic coast from Donegal to West Cork. It is defined as the longest coastal drive in the world and home to soaring mountains, scenic harbours, stunning beaches, historical attractions, majestic cliffs and lush green forests. You can explore the Wild Atlantic Way by car, foot, bike or bus. An adventure you will always remember. Where is my nearest Maldron Hotel? Please visit the locations page on the Maldron Hotels Group website to see where all of our hotels are located. These spacious superior family hotel bedrooms offer a double and 2 single bed, en-suite with bath & shower. Ideal for 2 adults and 2 children under 12. 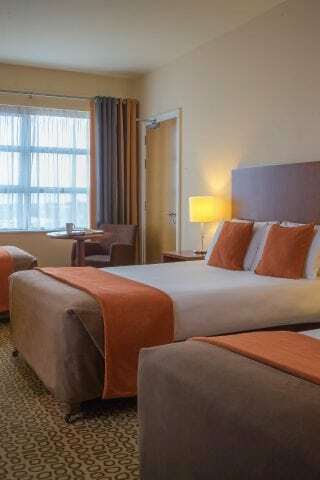 All rooms include crisp white duvets; ideal for a tired family after a long day of exploring all the fun activities Limerick and the surrounding areas have available. Take the kids for a visit to our 20 meter pool in Club Vitae Leisure Centre where they can play in our kid’s pool while you relax in the Jacuzzi. Visit our grain and grill restaurant and enjoy a relaxing meal while the kids enjoy ordering from our Kids menu. Complimentary cots are available on request. We also offer interconnecting rooms. Please call us to discuss a rate if you decide to book an inter-connecting room.